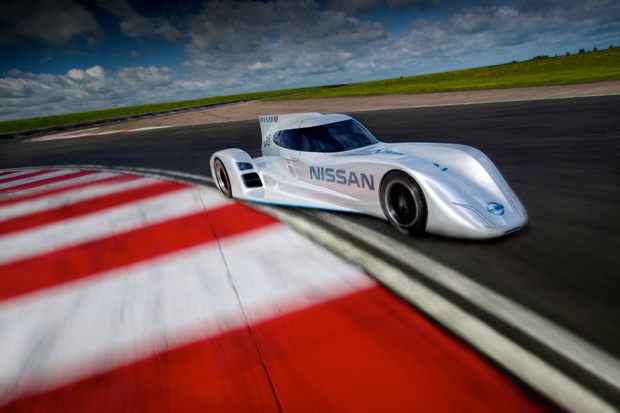 The Nissan DeltaWing entry in the 2012 24 Hours of Le Mans was built by a consortium of companies, and its official name was "Delta Wing Project 56" (DWP56). That detail is leading to a lawsuit, from the leader of the project team, that could derail the Nissan ZEOD RC and the commercialized Blade Glider that could go into production. A complaint was filed and entered into the system of the superior court of Jackson County, Ga., on Friday, Nov. 22, 2013, by Delta Wing, LLC, a business owned by Chip Ganassi, and Delta Wing Project 56, LLC, a business with multiple owners, including Ganassi and general manager Don Panoz. 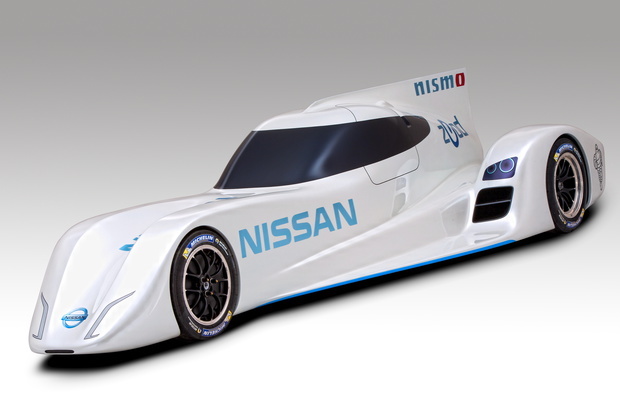 The issue arises because the original designer of the Delta Wing, Ben Bowlby, now works for Nissan and is in charge of designing the ZEOD RC and the Blade Glider. Both use a triangular shaped vehicle body with improved aerodynamics. 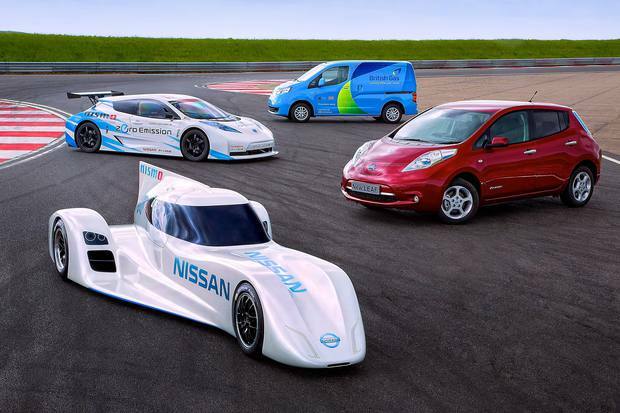 What makes these vehicles important for us on Electric Race News is they both incorporate an electric drive train. The claim by DWP56 is that Don Panoz and the DWP56 consortium bankrolled the design, and therefore owns intellectual property rights, which they are seeking to license to automakers. According to racer.com (link below) Bowlby, while an employee of Ganassi Racing, originally developed the idea as a proposal to the IndyCar series to replace an earlier Dallara design. However, IndyCar chose to stay with Dallara. Bowlby eventually hooked up with Panoz who bankrolled more design work, and formed DWP56 who took over intellectual property rights on the design. The focus was a run at Le Mans in Garage 56, which is reserved for experimental race cars. The role Nissan took was to supply an engine and presumably some other sponsorship resources required to get to Le Mans. Unfortunately the car crashed after 7 hours and was unable to finish that race. It returned to the Petit Le Mans later in the year, and then in 2013 it raced under the DeltaWing name without Nissan's blessing and sporting a Mazda engine. Last summer, Bowlby showed up as a Nissan NISMO employee and leading the ZEOD RC project, after having been hired by Nissan in 2012. That car is slated for the 2014 24 Hours of Le Mans and again occupying Garage 56, as did the original Delta Wing. Bowlby was covered by employment agreements restricting him from revealing intellectual property developed by Ganassi/DWP56. Nissan surely has good quality lawyers who can spot such a problem from the outset, and they chose to hire Bowlby anyway. Ergo...? At the same time, are triangularly shaped vehicles all that rare? In other words, is the DWP56 design all that original? In the meantime - the ZEOD RC / Blade Glider - I've been meaning to write these up, and have neglected doing so. My apologies.